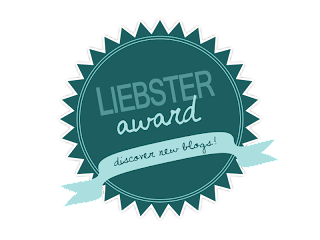 Thank you so much to the lovely Rebecca Alice for nominating me for the Leibster Award! I never thought I would win an award for my blogging as it is just a hobby for me, and something I love doing so it is lovely to be nominated for this! Thank you! Check out her guest post on my blog this Saturday, its a gooden'! These are the rules of the Liebster award! 3. Answer 11 questions which were provided to you by the person who nominated you. I am now going to answer Rebecca's questions! What's your favourite thing about blogging? I love being able to share all of the things I've enjoyed doing with people who enjoy the same things as I do! What's your best trait? I'm organised which works in my favour most of the time! If you were stranded on a desert island, what three items would you take? I would take my boyfriend, a book and my suncream because you have to protect your skin! Favourite holiday destination you've been to? I loved Brazil, it was so amazing! If you could change one thing about blogging, what would it be? I would have more time to do it! 3. I have a phobia of cheese - I absolutely hate it! I now want to nominate these blogs. They are ones I absolutely love reading and I think they deserve to be nominated for this award! 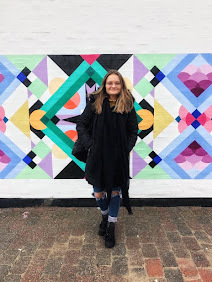 Time for my questions for the 5 lovely blogs I have chosen! 2. What is your favourite type of blog post? 3. How often do you blog? 4. Do you prefer summer clothing or winter clothing? 5. Which celebrity do you admire for their fashion sense? 6. Out of all the places you have visited, which is your favourite? 7. Where is a country you have never been to but wish to go to? 8. What is your favourite type of Jewellery? 9. Where is your favourite place in the UK? 10. What are your main plans for the summer? 11. What are your blogging aims? I totally agree on flats and lipstick! Thanks for nominating me! Lovely post! You're answered to my questions are brilliant - I hate cheese also!